Establishing the truth about the tragic events of June 2010 in the south of the country is indeed important from all aspects. 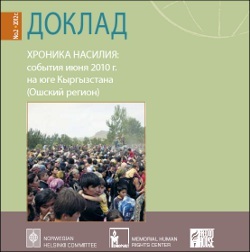 During the past year and a half, a number of reports and publications have been produced, including “The information of the independent commission of Ombudsman of the Kyrgyz Republic”, ‘The conclusions of the national commission on the tragic events in the south of the republic in June 2010”, “Where is the justice” report by the Human Rights Watch, “The pogroms in Kyrgyzstan”, by the International Crisis Group, and the report of the Kyrgyzstan Inquiry Commission led by Kimmo Kiljunen, member of Finnish parliament. The report “A Chronicle of Violence: The events in the south of Kyrgyzstan in June 2010 (Osh Region)”, prepared by Memorial Human Rights Center (Russia), the Norwegian Helsinki Committee (Norway) and Freedom House (USA) is the most recent publication which gives a detailed chronology of the events in the Osh Province in the period 29 April to 15 June 2010, as well as an analysis of available information and statistics related to the violence in the south of Kyrgyzstan in June 2010. The report is the result of field research in Osh starting from 18 June 2010. It is based on the accounts of over 300 eye-witnesses to the events, who have been interviewed in Kyrgyzstan, Russia and Turkey. Other sources include unpublished reports by government organs, documents from medical facilities, satellite images, and so forth. This report is the result of a project which was carried out in 2010–2011 by Memorial Human Rights Center (Russia), the Norwegian Helsinki Committee (Norway) and Freedom House (USA). Partial fnancing also came from the National Endowment for Democracy. General coordination of the work was carried out by Vitaliy Ponomarev, Director of Memorial’s Central Asian Program. Given that members of the self-defense groups in Uzbek residential areas faced criminal persecution, torture or blackmail after the clashes they soon started leaving Kyrgyzstan. Within two-three months many of the eye witnesses were impossible to find within the country, some were scared of speaking or were not completely candid. Considering the real threat to the security of witnesses the authors have decided to keep their names confidential. A preliminary version of the report was presented to authorities in Kyrgyzstan in February 2012, and was discussed with activists from civil society, lawyers and experts from several countries. For further information please contact: - In Moscow, Vitaliy Ponomarev, Director of Memorial’s Central Asia Program, +7-910-424-58-06 (Russian); - In Oslo, Gunnar Ekelove-Slydal, Deputy Secretary General of the Norwegian Helsinki Committee, +47 95210307 (English, Norwegian). Establishing the truth about the violence is important from a political point of view, but especially in terms of the rule of law, the protection of the rights of those who have been subject to unfounded criminal persecution, and to ensure accountability for those who committed crimes, Gunnar Ekelove-Slydal, Deputy Secretary General of the Norwegian Helsinki Committee says. The events remain topic of discussion both inside the country and abroad. Although a great number of reports and articles on the conflict have been published in the time since, many central episodes from the period have not been described in detail. - Discussions are often characterized by a lack of view to the facts of the conflict, or give an unbalanced, ethnically framed picture of the events, says Vitaliy Ponomarev of Memorial Human Rights Centre. 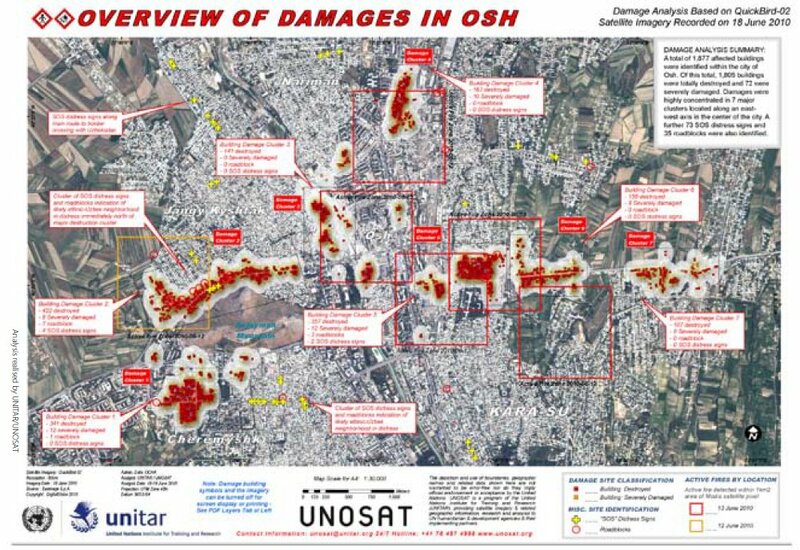 Given the sheer scale of the tragedy, all of its details can not be covered in just one report or by just a single organization. Still, the authors have found it important to summarized the confirmed information available. As they make it clear from the beginning “we do not pretend to have reconstructed the full image of what took place but believe that the information collected can be the basis for a later more in depth investigation of these events. You can download the full text of the report at the official web-sites of the Norwegian Helsinki Committee, or the Memorial Human Rights Centre, and on Fergana.ru.